Bioshock for many gamers is one of the most beloved new franchises on the block. It’s unique art style and setting encased gamers in an alternate world where an 1940’s “Utopia” was birthed under the seas. Bioshock 2 begins in the beloved city of Rapture that we all came to love in the first game. This time though you are truly taking up the reigns of a Big Daddy the Series protectors of what little innocence exists in Rapture; the Little Sisters. More specifically, you are Delta the original Big Daddy. The story kicks off in 1958. you are doing your typical duty as a Big Daddy. Suddenly, your sister takes off running to find the nearest “Angel” just as you lose sight of her she lets off a scream. It seems a group of Splicers (the games mutated enemies) have your sister surrounded and begin harassing her about the Adam (the genetic material that allows for everyone’s crazy “magic” powers) she has harvested. You crash onto the scene and immediately begin to bust heads, before long you are blindsided by a plasmid and forced into taking your on life via a self inflicted gun shot wound to the head. You awaken roughly 8 years after the events of the first game. Before long are set on the task of find your long lost little one and getting even with the people that separated you in the first place. The Master mind behind separation of you and your sister was the games new foil is Eleanor Lamb. 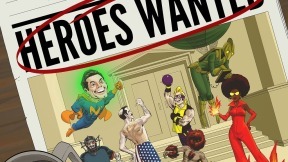 Who since the topple of Andrew Ryan in the first game ceased control of Rapture amassing the splicer population in a sort of pseudo communist ideal of being apart of a family. This is not the only change the world of Rapture has seen since you’ve been out cold since your last battle. Delta is a much different beast than the Big Daddies you’ve tangled with in first game. His biggest difference is his ability to use Plasmids which he can use in tandem with his impressive array of weapons he acquires which range from rivet gun all the way to a improved version of the grenade launcher from the first game. All this may seem like your journey to find you sister will be a walk in the park. This, you soon learn is far from the case. New to rapture since your time KO’d on the floor are the Big Sisters; much older versions of the little sisters that wander the Utopian underworld. It seems their time apart from big daddies send the sisters in to a hyper aggressive state and their supplies of Adam they store in their bodies grants them new abilities which make your life in the big underwater city that much harder. From the large needle they can impale you with to their telekinetic abilities Little Sisters are a threat they game introduces early on to instill some fear within you. 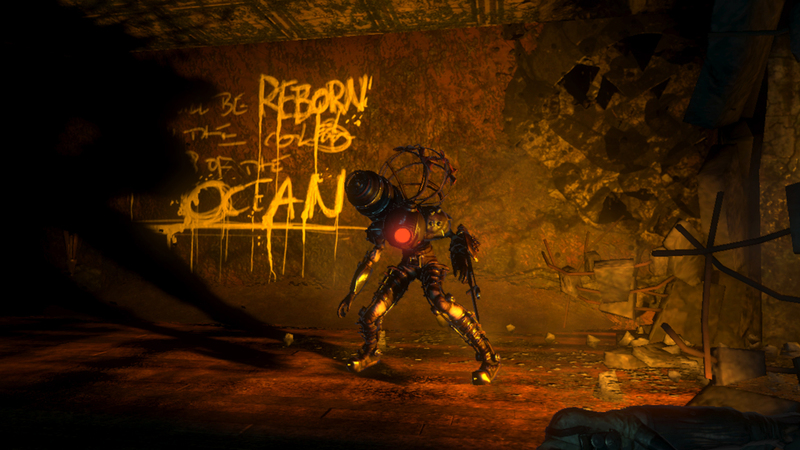 Bioshock 2 does much to expand the feeling of being right back in the world of Rapture and to a point it succeeds. 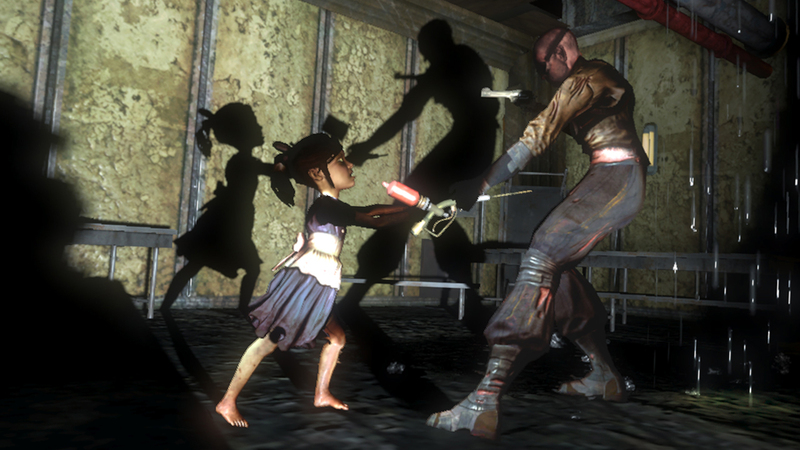 The original Bioshock sheltered a story that many gamers feel is one of the best stories the gaming medium has ever told. So when a sequel was announced, many gamers felt kinda iffy about diving back into the world of Rapture. 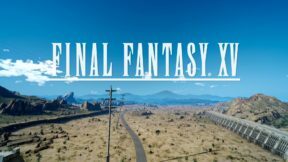 As many felt that the first games adventure was a self contained experience and any attempt to further that experience would cheapen the first game. This is kinda the feeling I left with upon completing the game. The changes made to the game are notable improvements that make the game better in pretty much every way. The ability to use your guns and plasmids in combination with each other gives the combat a unique flare all its own. The new hacking mini-game which no longer pauses the action while you play a small game of pipe dream works to keep you in the world. The new plasmids and the ability to charge them once they’ve been leveled all feel like natural progressions for the gameplay. This would all be perfect in any other franchise but if you most gamers shooting things was pretty the last thing they enjoyed about the first Bioshock. Bioshock to many was all about exploration and not knowing exactly what they were getting into the shooting almost felt secondary as finding out just what the hell happened was more of your priority as a player. For obvious reasons this feeling cannot be duplicated in the sequel. You already know what happened and who’s responsible, so for a sequel you think more emphasis would be placed on the narrative. Regretfully, this doesn’t seem to be the case,. Just about everything about Bioshock 2 is improved over the original except in one key area and a dozen or so smaller areas. 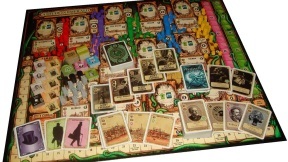 One large issue the fans of the first game had was with the announcing of a Multiplayer aspect being added to the sequel. Many felt that time taken away from what they felt was the key aspect of Bioshock (the single player outting) would lessen the story and its impact as the team wouldn’t have as much time to focus on both areas of the game. While I can’t fully agree with sentiment I can also say that the Multiplayer in Bioshock isn’t a complete waste of time. 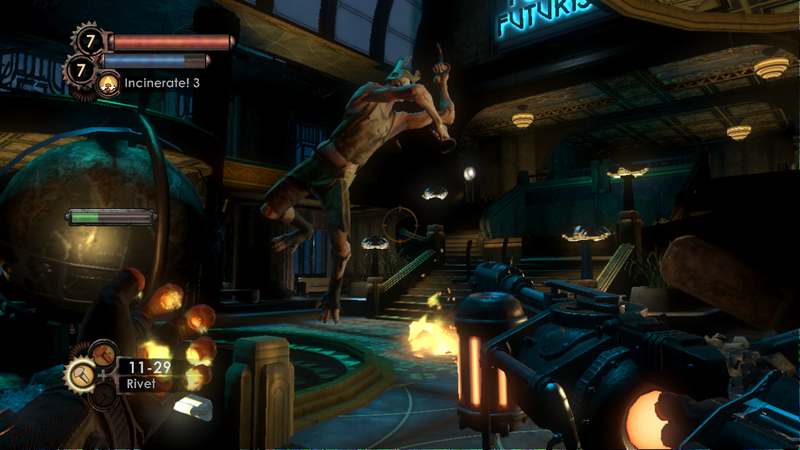 Many of the things that work to make Bioshock feel like Bioshock are present in the multiplayer aspect of the game. You can still hack turrents & vending machines. You can still reasearch enemies for damage bonuses and many of the plasmid combos that worked in the single player game work in the multiplayer as well. It’s all a very solid package with even the character you choose as your multiplayer avatar having a backstory as to why they are fighting. So while the multiplayer of Bioshock 2 is competent it probably won’t be swaying to many people from CoD:MW2 or BattleField: Bad Company 2. A lot of what made the first Bioshock so charming was; though you were unfamiliar with your surroundings you quickly came to try and get and understand of things around you. A perfect example of this (and one of my small gripes with this game is) the gathers garden and Ammo Bandit o vending machines would play their jingles anytime they were near. So in an area you hadn’t explored you could sometimes find comfort in knowing well I am low on supplies but if I press on a bit further I can stock up. Another thing absent is the ability to revisit any area like you were able to in the first game. 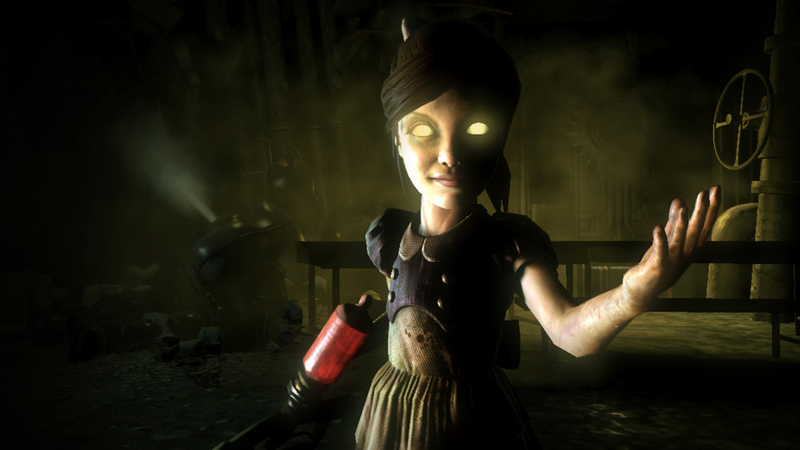 Bioshock 2 plays out in a very linear fashion. In the game you are tasked with fixing a rail car that ferries you from area to area. As such, once you leave an area you can no longer return to hunt for power to the people upgrade stations or to rescue any little sisters you might have skipped. This again detracts from the exploration aspect of the game a bit. Since you always know where to go the game seems to be hurrying you along through the game. My other gripes are that though some old faces are brought back and mentioned here and there, none of the new cast really stands out much within the context of the story. I think this is a testament to the story not being as strong in Bioshock 2 as it was in the first game. The first games story had the extra juice going for it because you wanted to know what went on and why. The feeling of being trapped in and unfamiliar place was unsettling and did a lot to drive the plot points home, when they did happen. Bioshock 2 lacks that “Dun dun DUNNNNNN” moment or reveal that the first had, add that in with not having the wonderment aspect the first one did and you got a sequel that at times can feel more like an expansion pack than a true sequel. I think my biggest issue with the game in general is the length, clocking in at about 7 to 8 hours the game is half as long as the first. This really makes the narrative aspects of the story feel rushed. The characters don’t have long enough to get their hooks into you and develop any sense of relationship because everything is over so quickly. This isn’t to say Bioshock 2 is a bad game, quite the opposite actually. It’s just the reason everyone championed the first game the story and setting aren’t as well realized as they were in the first outing. There as aspects of Bioshocks 2’s story that are indeed stronger than the first game; the games end game is FARRR more satisfying that the original. Bioshock 2 taken on its own merits is still a damn impressive game that can go head to head with most any other shooter on the market. That atmosphere is still there as well as the games strong art design. There isn’t anything else quite like Bioshock 2 on the market and you’d be doing yourself a disservice if you didn’t get your feet wet one more time.